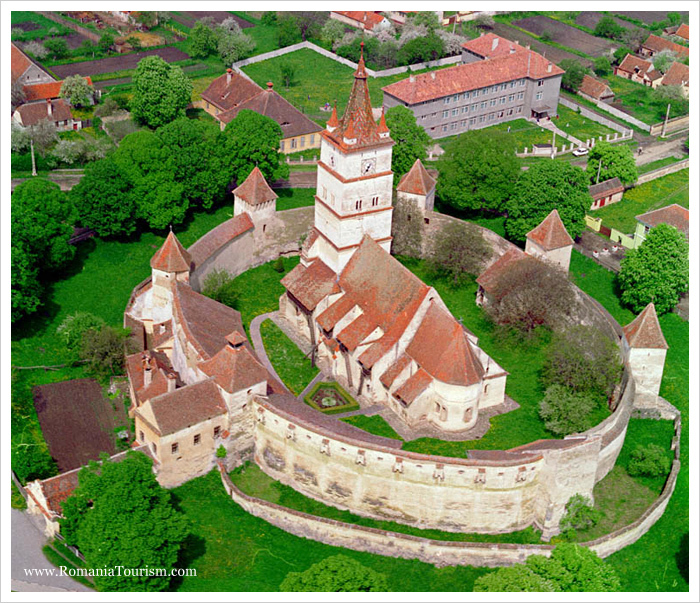 Located in the heart of Harman (Honigburg in German, meaning Honey Castle) village, this fortified church dates back to the 13th century when Saxons built the original structure. Strong walls and bulwarks surrounded the church and on its sides, massive towers were added. 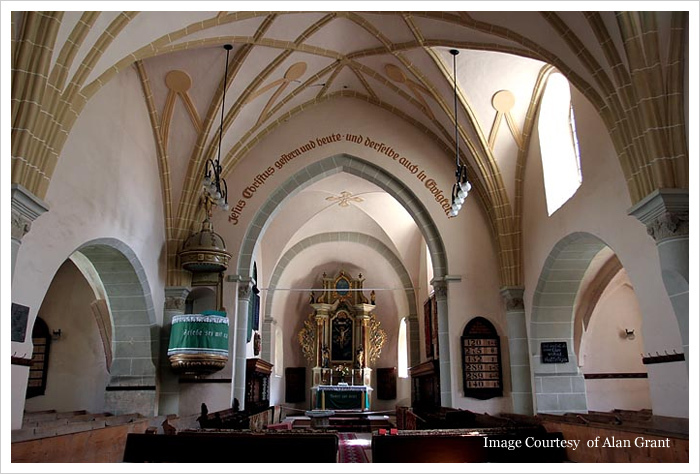 The choir was built in a square shape with a vault resembling a cross. It was surrounded by two chapels, indicating the influence of the Cistercian style. This influence can also be observed in the still-standing original round windows with four lobes in the upper part of the church. The fortified church boasts two chapels. The south chapel has been preserved in its initial state while the north chapel was rebuilt in the 15th century. The exterior vaults of the chapel are sculptured in stone and have a human face at each end. Daily: 10 a.m. - 4 p.m.
Closed to visitors during events hosted during visiting hours.